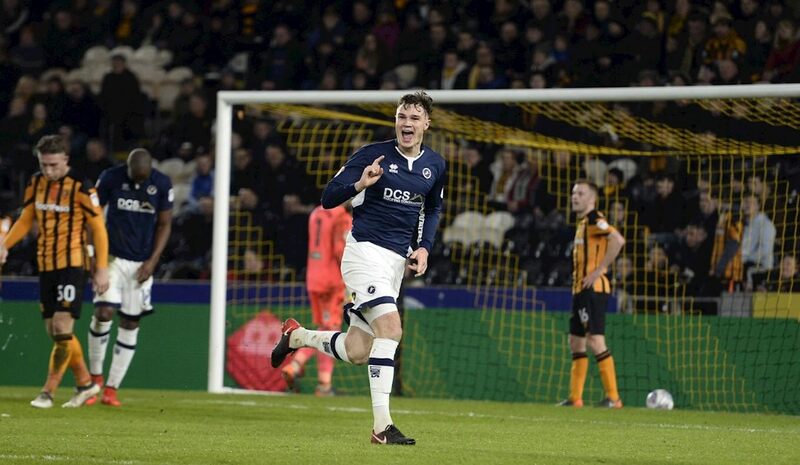 Two first half goals from Millwall saw them end up as victors as they beat Hull City by two goals to one on Humberside. The win keeps the Lions still in with a chance of the Play Offs and on this fantastic ten match unbeaten run they are poised to give the contenders above them a real run for their money in obtaining that last crucial play off place. A first minute goal from George Saville and a second from Jake Cooper just after the half hour mark was enough to see them home despite Abel Hernandez in his first start since August after being out with injury clawing one back for the home team. For Hull City it wasn’t to be enough as Millwall held out for the last ten minutes to record their 5th consecutive away win. In my piece back in December I wrote that the Lions had had a dismal run of away form in the Championship this season and they needed to start winning on their travels and it was only their home form that was keeping out of the relegation area. Suffice to sat they heeded my words but even the most optimistic of fans would find five straight away wins hard to swallow. It seems that as Neil Harris’s Millwall men march on, that their game plan to allow other teams to come at them is paying huge dividends. Once more they allowed Hull more of the ball as the home team enjoyed huge chunks of possession. The Tigers had 65% of the possession to Millwall’s 35% but could still only muster 3 shots on target the whole game as opposed to Millwall’s 5 shots on target. The Lions looked incredibly well disciplined and lying in 11th position are only 6 points off the all important 6th place with still ten games of the season to play. It’s unlikely but they could still do it and they put Saturday’s poor result against bottom club Sunderland to bed as they stopped Hull in their tracks time and time again. 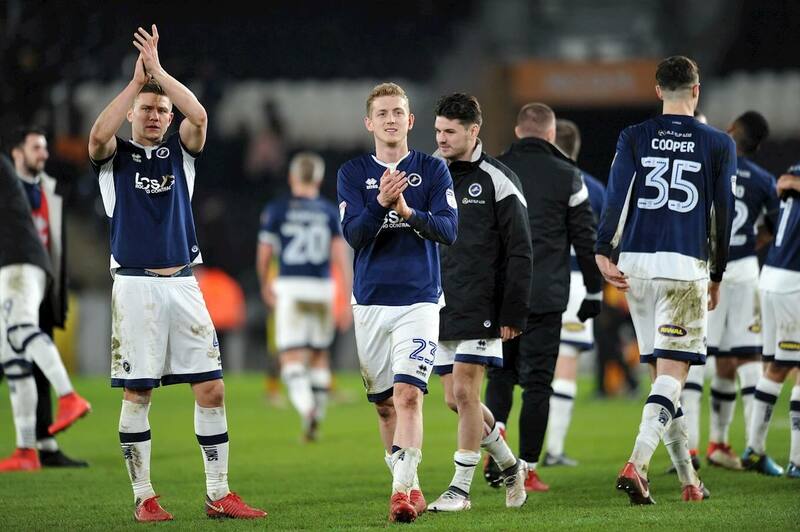 The Lions had real bite and menace from the kick off and it was George Saville’s goal inside the opening minute that sent Millwall on their way to victory to keep the Lions in touch with dreamland. The unmarked midfielder met Lee Gregory’s back heel to prod home from close range to score his eighth goal of the season as the home team were shaken to their foundations with such an unexpected twist of a start. Hull City were slow in getting off the ground but grew in confidence the longer the first half went on and were left to rue chances, the best of which fell to Jackson Irvine, who sent a header narrowly wide with Jordan Archer beaten in the Millwall goal. The Tigers were all over the Lions but couldn’t find a way through thanks to some stout defending and holding midfield play. Slightly against the run of play Jake Cooper doubled the visitors’ lead with his head, meeting a corner at the back post to send a looping header into the Hull City net. The travelling Millwall fans went loopy and their team went in for half time cocoa with a 2-0 cushion over the Humbersiders. Hull to give them credit came out for the second half with plenty of intent and purpose. Abel Hernandez was running the show for the home team and you can see why they have missed him as they have slid down the table the last couple of months. The Uruguayan was making his long-awaited comeback, having been missing since August with an Achilles tendon tear, and his fourth goal of the season gave Hull hope of extending their unbeaten run to three matches when he was first to the ball and poked in for Hull 10 minutes before the end. Despite late pressure where Hull threw everything except the North Sea at the visitors it was not to be for the Tigers and Nigel Adkins’ side remain in danger. Hernandez could be their saviour however. For Millwall fans – dream!